Pedro "Pete" Rustan, a former senior manager at the U.S. National Reconnaissance Office. 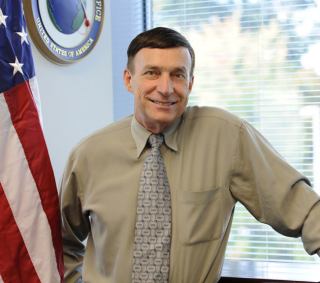 WASHINGTON — Pedro "Pete" Rustan, a former senior manager at the U.S. National Reconnaissance Office (NRO) and a fixture in space technology circles, died at his home in Woodbridge, Va., June 28 after a two-and-a-half-year battle with cancer. He was 65. In addition to his reputation as a technical innovator and advocate of nontraditional acquisition approaches in space programs, Mr. Rustan was known for having defected from Cuba to the United States by swimming across Guantanamo Bay to the U.S. naval base there. Mr. Rustan most recently served as director of the NRO's Mission Support Directorate before his official retirement in October 2011. Previous NRO positions included director of the Ground Enterprise Directorate, director of the Advanced Systems and Technology Directorate and director of small satellite development. During a 26-year career with the U.S. Air Force, Mr. Rustan ran several advanced technology space programs and was mission manager for the Ballistic Missile Defense Organization’s Clementine mission, a small, low-cost spacecraft that mapped the surface of the Moon. He retired from the service in 1997 with the rank of colonel. Pedro L. Rustan was born in Guantanamo City, Cuba, on Dec. 29, 1946. He fled Cuba for the United States in 1967. He received bachelor’s and master’s degrees in electrical engineering from the Illinois Institute of Technology in Chicago in 1970 and 1971, respectively. He earned his doctorate in electrical engineering from the University of Florida in 1979. Mr. Rustan is survived by his wife, Alexandra, and two grown children, Peter and Amy.